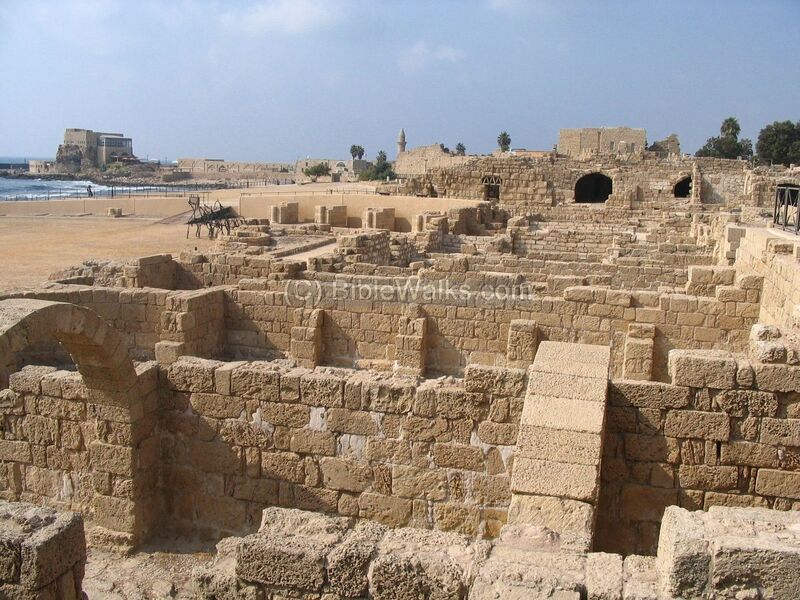 Caesarea was built about 13-25 b.c.e. by Herod the Great. It is between Tel Aviv and Haifa. Caesarea was once the capital of the Judea province. When traveling you can see the Roman theater, excavations, and many artifacts. Many concerts are still held at the Roman theater today. Haifa, is the 3rd largest city in Israel. In the 3rd century Haifa was known as a dye-making center. Haifa has over a dozen museums. It is a destination for Baha'i pilgrims, because it is the home of the Baha'i World Center. Haifa is a major seaport in Israel today. 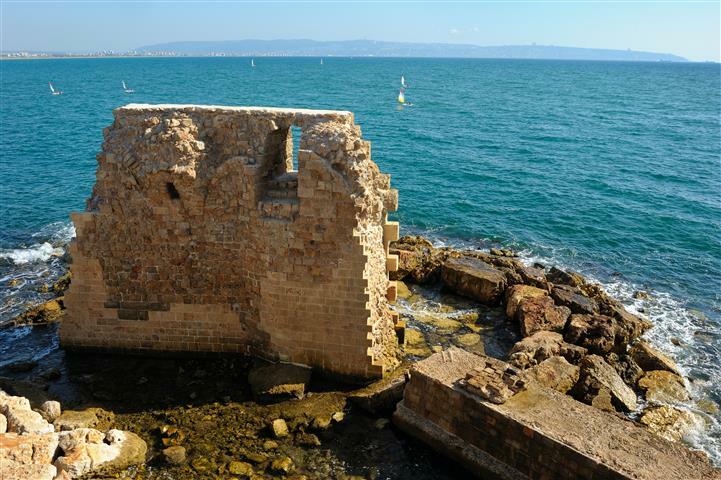 Acre is located on the coast of the Mediterranean Sea. It has been inhabited since about 3000 B.C., which makes it one of the oldest cities in the world. Acres old city is just one of the many sites to see. 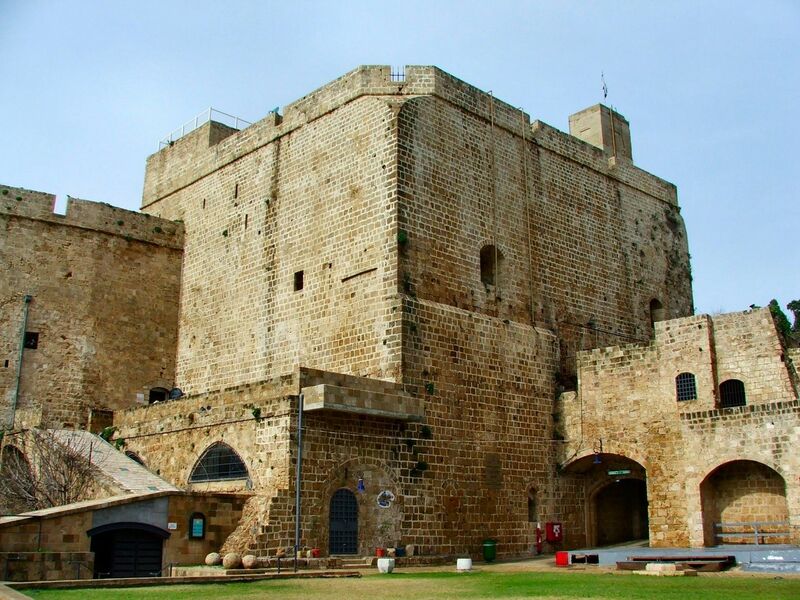 There are churches like St. George, the Citadel of Acre, the Jezzar Pasha Mosque. Many religions reside in this city. Golan Heights borders with Syria and Lebanon. The scenery is breathtaking. You can see the mountains and the forests. There are many old fortifications to explore. Katzrin is in Northern Israel and holds the Golan Heights winery. There is an ancient synagogue there and the Golan Antiques Museum. Pick up from: Jerusalem 05:50 a.m.
Exit north to Caesarea, the ancient Roman capital and port. There is a walking tour of the archaeological ruins, the theater, and the excavations. Continue to Haifa, Mt. Carmel, and a scenic view of Bahai garden, city and port. 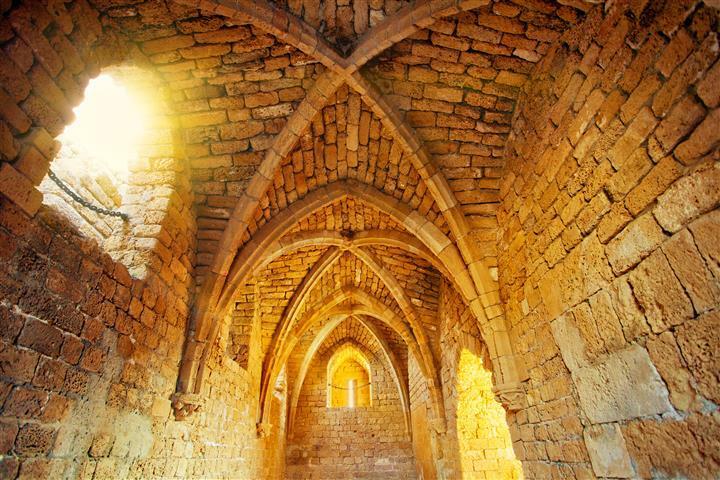 Drive to Rosh Hanikra to view the border with Lebanon, and visit the limestone grottos, we return via Acre to visit the crusader underground city and crypt. We will walk through the old city market, and return to hotels. 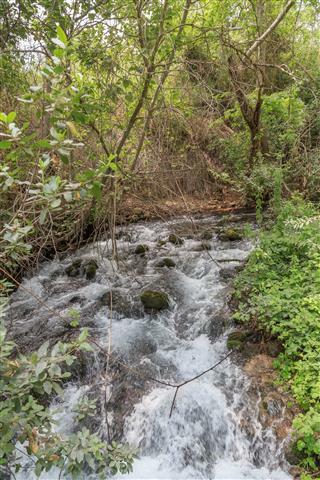 Driving on the coastal road and view the Sea of Galilee, Jordan Valley and the Golan Heights, continue to overlook of Hammat Gader and ascend the Golan Heights to the Shalom Observatory. Onwards to the city of Katzrin, the museum and the excavations of Talmudic Katzrin. Visit the ancient synagogue of Katzrin and ascend Mt Bental, overlook Kuneitra Valley and the triangular border, continue and stop at former Syrian fortification. Return south to hotels via Jordan River.